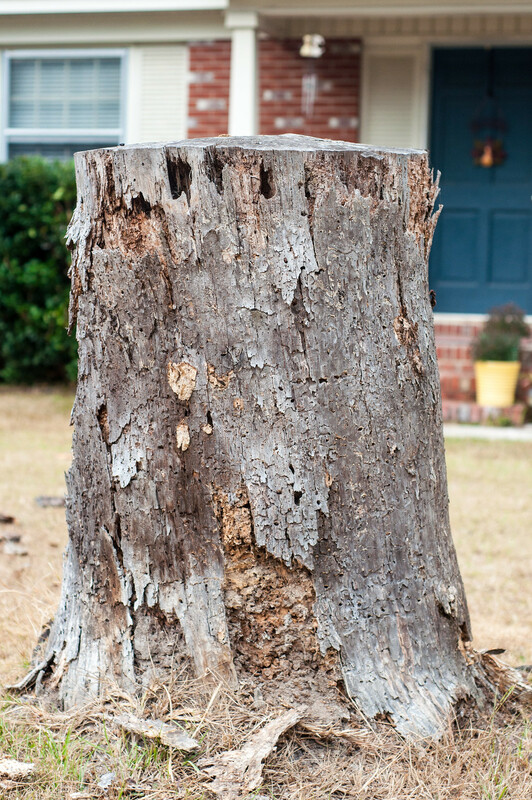 Yes, this is a blog post about a stump. Before I moved in with Mike, this stump was a giant pine tree. 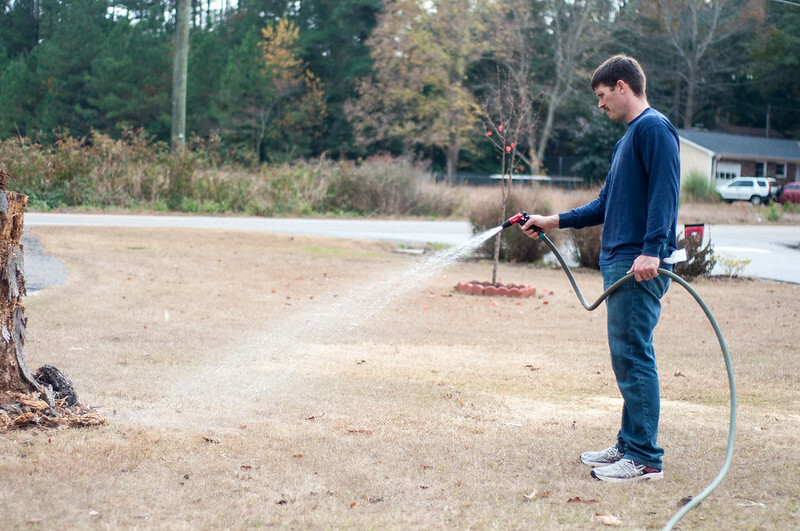 Shortly before I moved in, Mike and his roommate had it cut down. They decided to cut it at this height and leave it in the yard because they thought it’d make a cool outdoor high top table…yes I’m being serious. Anyway, four years later we finally decided to do something about it. Initially we were going to carve it into a snowman for the holidays and deal with it in January. Nature had other plans. 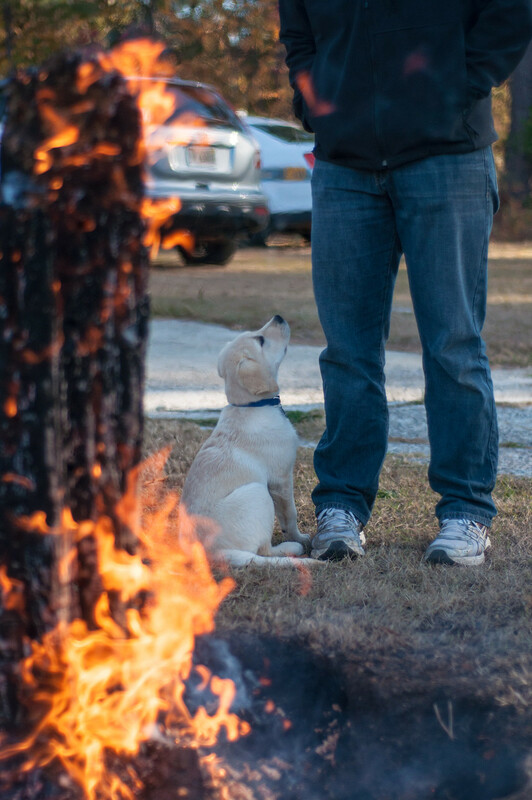 The stump was completely rotten and ant infested, so the executive decision was made to burn it. 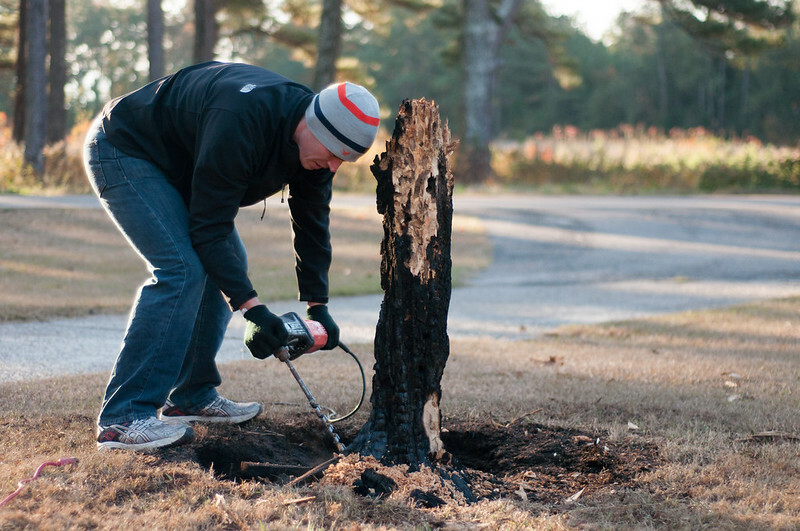 If you ever plan on burning a tree stump in your yard, here is a comprehensive to-do list. 1. Drill holes into your stump. 2. 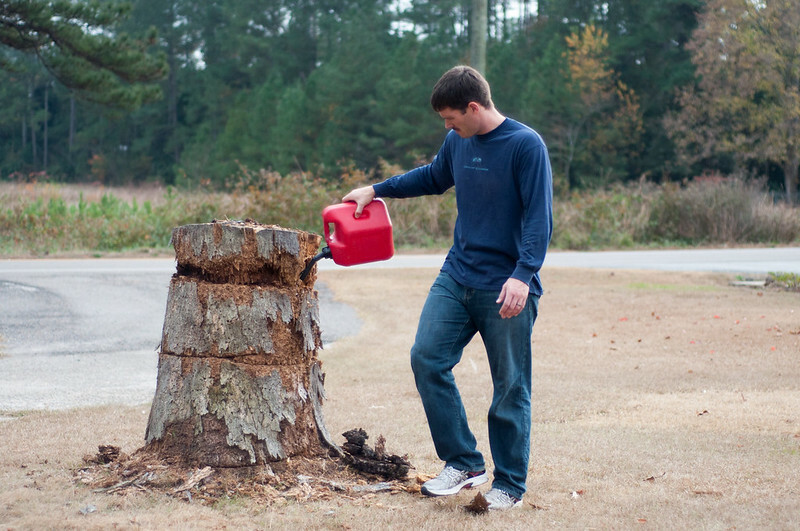 Pour gasoline into the holes and all over the stump. 3. 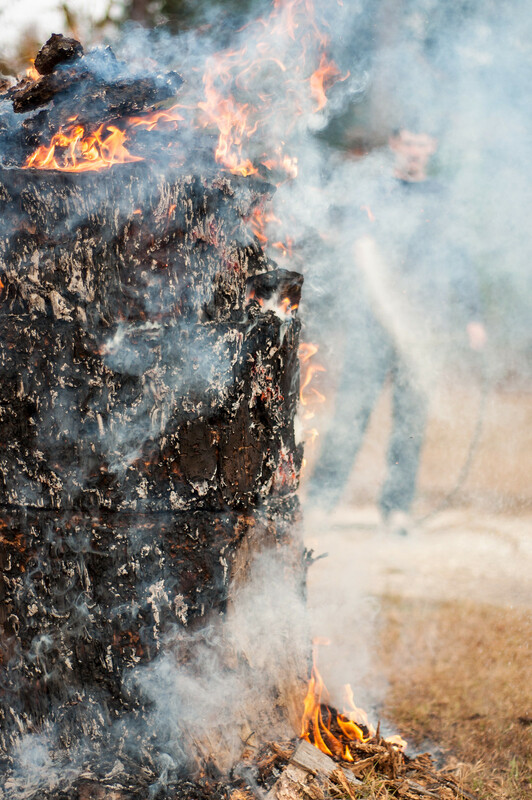 Soak the grass around the stump with water to avoid accidentally igniting your yard (and other basic safety reasons). 4. Light it on fire. 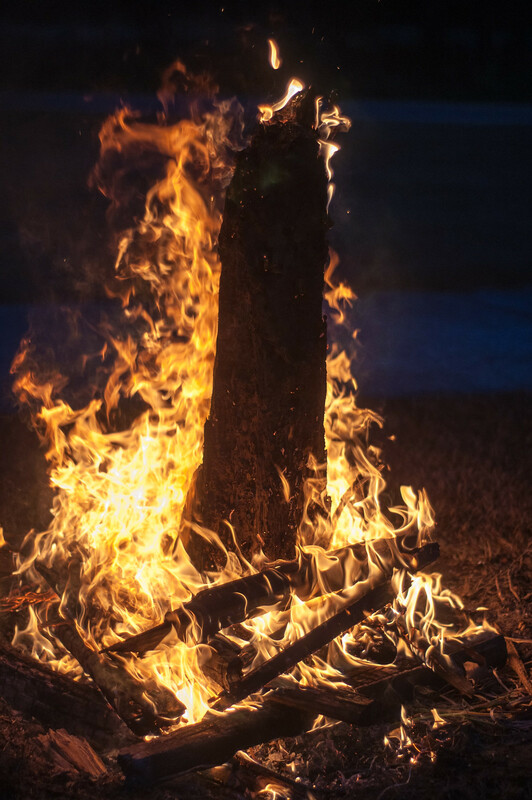 Eventually it burned down quite a bit and we were able to sit by it that night and enjoy a little bonfire. 5. Once it burns down a bit, shovel the charred pieces into a wheel barrow and soak them with water. Pile them off to the side. 6. Drill more holes into the core. Soak with gasoline. 7. Light it on fire, again. Unfortunately, even after letting the stump smolder over night, we still had quite a bit left the next morning. Most of the tree was rotten but the core was pretty solid. We let it burn all day and finally by the afternoon it broke up into two pieces. So then we had a baby stump. 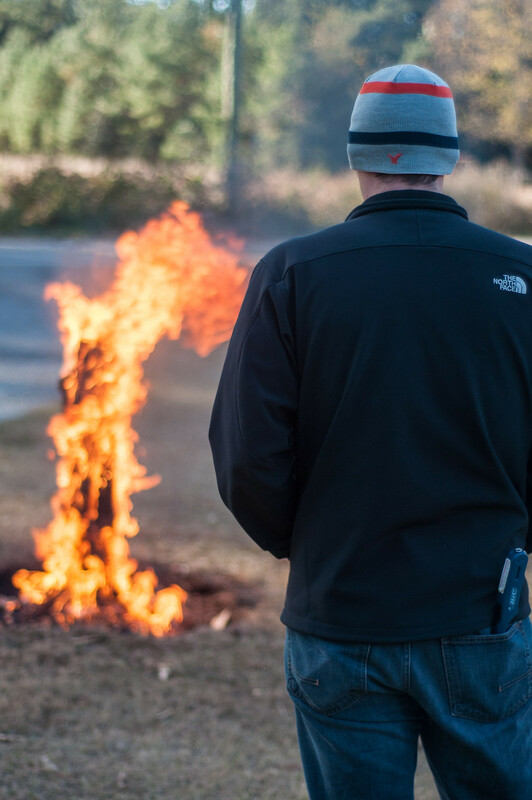 On the Saturday after Thanksgiving we got some diesel (because it burns slower) and we lit it on fire twice more. The roots finally started burning and disconnecting from each other, slowly but surely the stump lost its strength. It’s still holding on and not quite small enough yet. Once it’s no longer poking up above the grass line we can just fill the hole in with dirt and call it a day. I’m not sure what the game plan is right now – maybe Mike will attack it with an axe and dig it up. Maybe we’ll burn it a few more times. 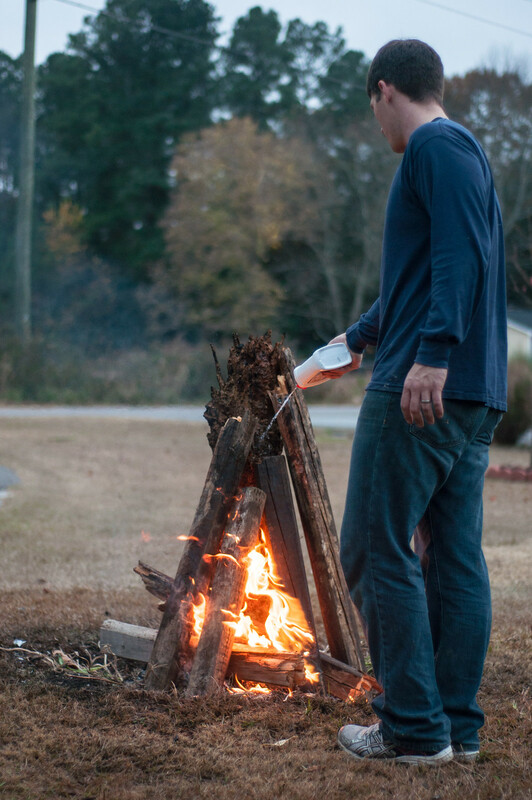 It’s been pretty handy having a giant fire pit to toss our paper trash into, though. 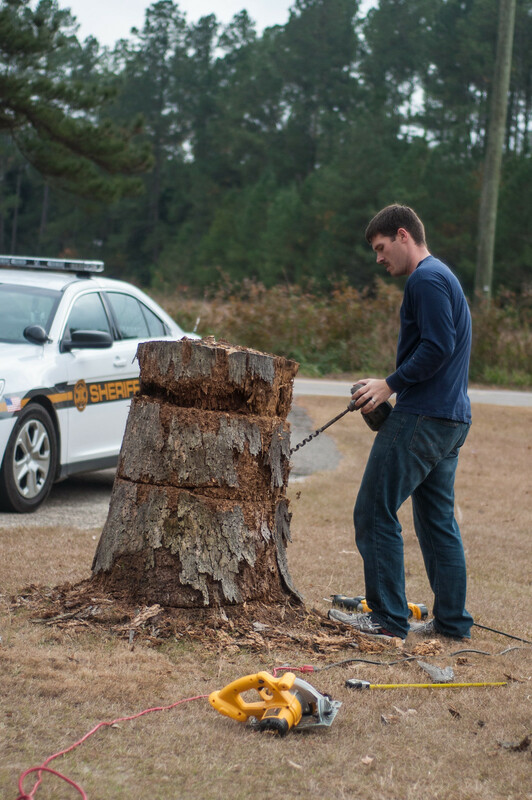 So perhaps this wasn’t a very good “how to get rid of a tree stump” post…because we still technically have a stump.